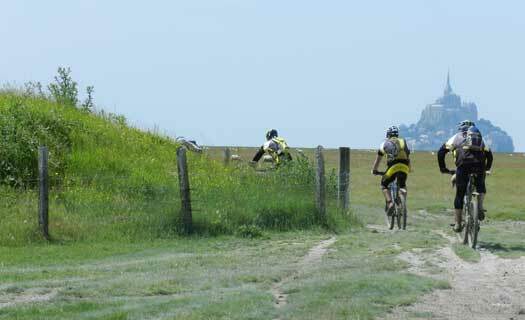 The « Tatihou / Mont Saint-Michel » mountain bike trail crosses la Manche from East to West and will enable you to discover the cultural and natural riches of the department. The itinerary offers much more than just a ride. You will discover the great diversity of the region. 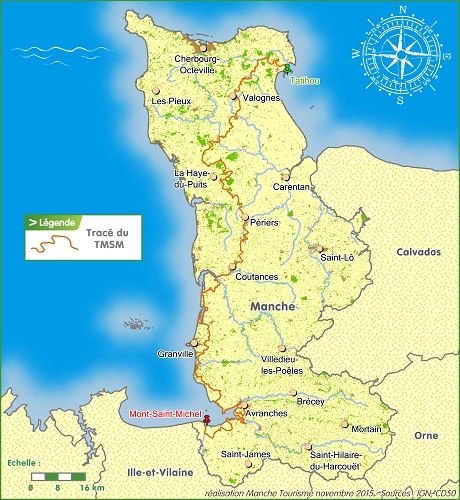 You can admire the Norman coast and the natural harbours of Régneville and Lingreville, ride through the marshland of the Sangsurière and Adriennerie, one of the most beautiful nature reserves of the area, and explore the Bay of Mont Saint-Michel. On the way, you can visit the Coutances cathedral or the Avranches Scriptorial.